Welcome to our 12 Days of Christmas Blog Hop! 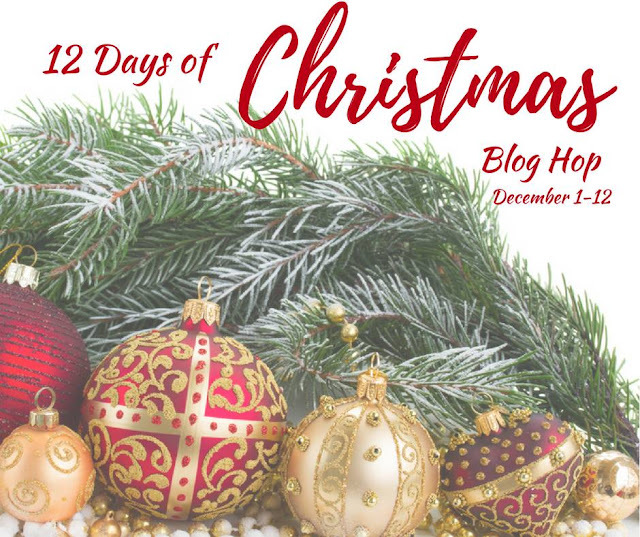 I have teamed up with a wonderful group of talented bloggers to bring to your our best Christmas ideas to help make your holiday season festive and fun! Everyday between Dec. 1-12th, we will share our best Christmas ideas ranging from crafts, recipes, games, décor, tree trimming and so much more! Be sure to stop by every day during this event to visit our fellow bloggers below for even more creative ideas to make your season brighter. It's Day 4 and we're sharing Holiday Party Food! These cranberry chicken salad appetizers are the tastiest and easiest finger foods to serve at any holiday gathering! 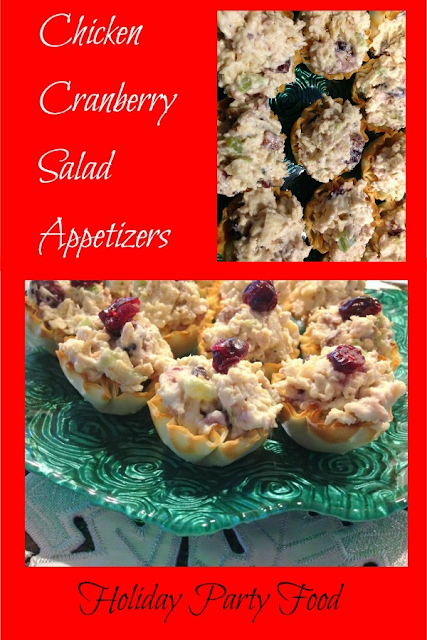 Cranberries and chicken together is such a savory combination that the appetizers will surely be the hit of the party! Mix together chicken, dried cranberries, pecans. Then add the remaining ingredients and mix well. Refrigerate several hours to enhance flavor. Spoon the salad into thawed mini fillo shells, garnish with additional dried cranberries, if desired and serve. Ooh these sound so delicious and they’re a nice small size. I lik ehtat it’s not too hard to create! I think I have most everything to make these already! Looks yummy! All I have to say is... MMMMMMMMMMMM!!! This sounds like something I'd love!